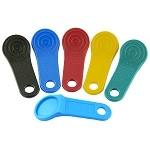 • Low-cost key ring mount which holds an iButton for Thumbpad Applications. • Key ring angled fob for use with F5 MicroCan iButtons. 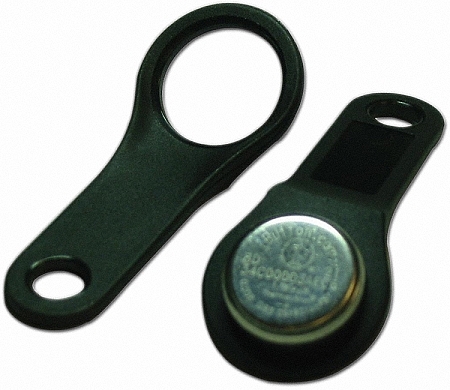 The DS9093N+ angled key ring fob is deigned to hold all F5 MicroCan iButtons. The iButtons are inserted into this fob by press-fitting. If permanent mounting is desired, the iButton can be locked by a DS9093RA+ Lock Ring.